It seems like everywhere you go these days, you can pick up a wireless signal. Long gone are the days of dial up – free WiFi is everywhere and has made internet use a modern convenience that practically no one can live without. While it’s a luxury to be able to check email or update a Facebook status while we wait in line at the grocery store or are in the process of eating dinner at a restaurant, is constant internet availability really a necessity? Worse yet, can it be dangerous for our health? WiFi was introduced in 1997, and was considered a real luxury only the most tech-savvy could enjoy. The rest of us were locked to our desktops and a dial-up connection. Soon to follow were the plethora of wireless devices and accessories such as keyboards, scanners, printers and more that all could be accessed via WiFi. Today, many households’ television sets, security systems and even baby monitors are all managed via a WiFi connection. However, these invisible frequencies that have all but eliminated those unsightly cords and offer convenience at the flick of a switch may be a key contributor to many of our nation’s health problems. Copious amounts of studies have been performed regarding the importance of sleep. Many note that poor or erratic sleep patterns often lead to numerous chronic illnesses. A 2007 study looked at the effects of even low doses of electromagnetic signals from low frequency items such as WiFi. Results indicated that even at very low frequencies, exposure to these signals affected individuals from both falling asleep and remaining asleep throughout the night. These findings indicate that over time, WiFi and other electromagnetic signals can indirectly lead to chronic health problems. Yet even if you are a sound sleeper, WiFi frequencies may be doing more damage than you realize, especially if you plan on starting a family one day. A 2004 animal study found that kidney development in rats was delayed when exposed to electromagnetic frequencies. Further, WiFi frequencies have specifically been associated with reduced sperm mobility. The Karloski Institute in Sweden released a statement in 2011 cautioning pregnant women to avoid overexposure to these frequencies, and criticized the United States and Canada for their lax standards for radiation regulation. The institute further indicated that current regulations ignore the effects on developing fetuses and young children. While many may shudder at the idea of giving up their precious WiFi-enabled gadgets, there are plenty of alternatives we can use to help shield ourselves from the overabundance of electromagnetic radiation. First, protect yourself from the inside out by eating a diet rich in blood-boosting foods such as beets, since blood cells are often affected by radiation. Also, incorporate plenty of organic fruits and vegetables. These are full of antioxidants and other phytonutrients that help detoxify the body and combat the stresses induced by radiation. Limiting exposure can be difficult, but it’s not impossible. First, shut off wireless routers when you’re not using them, especially at night or during sleeping hours. Second, don’t opt for wireless accessories like keyboards or printers, which all utilize WiFi connection. 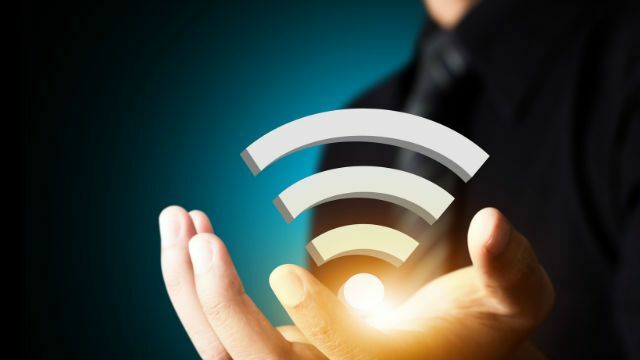 You can also avoid WiFi use altogether by utilizing an ethernet connection. Be sure to purchase a quality cable, however, as poorly constructed cables can emit radiation as well. Finally, if you’re looking to limit exposure outside of the home, avoid coffee shops and bookstores where free WiFi is a given. You can determine how many wireless networks are in range by checking how many pop up on your cell phone. If more than four or five are available, you may want to enjoy your latte elsewhere. Previous articleIs Eating Dried Placenta a Big Money Maker or a Nutritional Powerhouse? 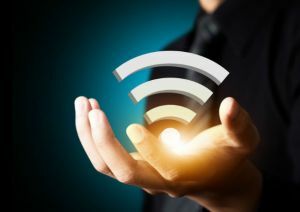 Hey Buddy!, I found this information for you: "Studies Show that Invisible Wifi Frequencies May be Contributing to Chronic Health Conditions". Here is the website link: https://www.thealternativedaily.com/studies-show-invisible-wifi-frequencies-may-contributing-chronic-health-conditions/. Thank you.